A reliable source for Small Parts Washers information and a resource for accessing leading Small Parts Washers and suppliers. Small parts washers are industrial cleaning systems designed to remove contaminants from large volumes of small products that have recently been formed or put through secondary operations that leave grease, oil, paint, coolant, burrs and abrasive dust on the part surfaces. There are two types of parts washers that are made to clean small parts: rotary washers, which tumble the parts in a circular motion, and immersion cleaners, which submerge the parts in water and cleaning solution and expose them to cavitation. Small Parts Washers Spray washers are a type of parts cleaning system that moves medium to large sized parts through a water-spraying industrial washer. Small parts washers are usually found in automotive factories as well as in tool manufacturing facilities; they are used to clean parts after they have been stamped, cold headed, die cast or ground. The parts may be fed manually into the washer in batches, but most often, they are the last stop in a continuous, inline processing conveyor system that works in conjunction with forming and secondary processing machinery. The two main types of small parts washers, rotary and immersion, operate in very different ways, but are both effective in cleaning large amounts of small products, usually made of metal or plastic. Rotary washers tumble the products through a rotating, spiral conveyor inside the system casing that moves parts in a circular motion to clean all surface area. They use high pressure water sprayers that shoot warm water and aqueous cleaning solution to clean away grime and contaminants. They are also almost always equipped with a drying system that uses a heater or air guns. 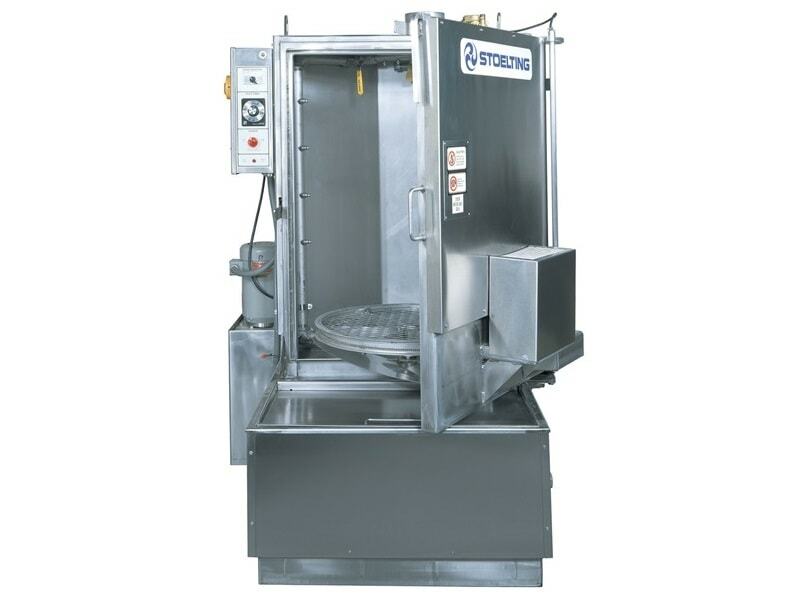 Immersion parts washers submerge parts into water and cleaning solutions. The small parts are contained in baskets made of metal mesh or porous plastic material. 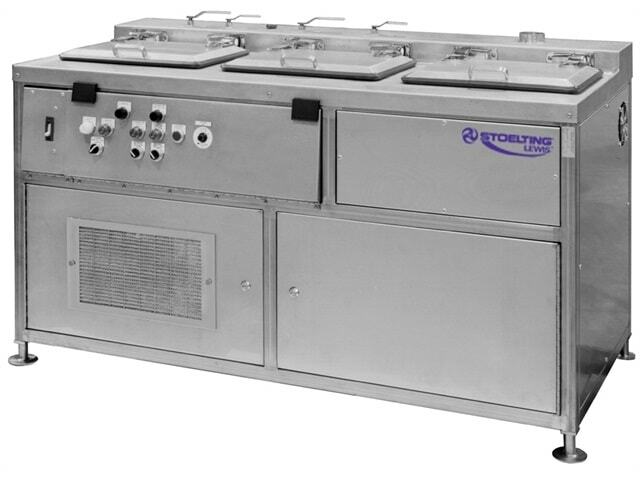 This system is better for cleaning more delicate parts because they do not come into contact with the tank walls. Instead of spray nozzles, immersion tanks use propellers that provide cavitation to clean away dirt and grime. Both systems are equipped with a filtration system to maintain a clean water tank and collect waste and debris. If the parts washer is not part of an inline conveyor, they often work in conjunction with load and exit conveyors to cut down on the need for manual labor.